Angela’s play Be Mine, a domestic noir thriller, received rehearsed reading at Soho and Hampstead Theatre. It was subsequently translated into Portuguese, renamed Bem-Vindo, Estranho and produced in Brazil. 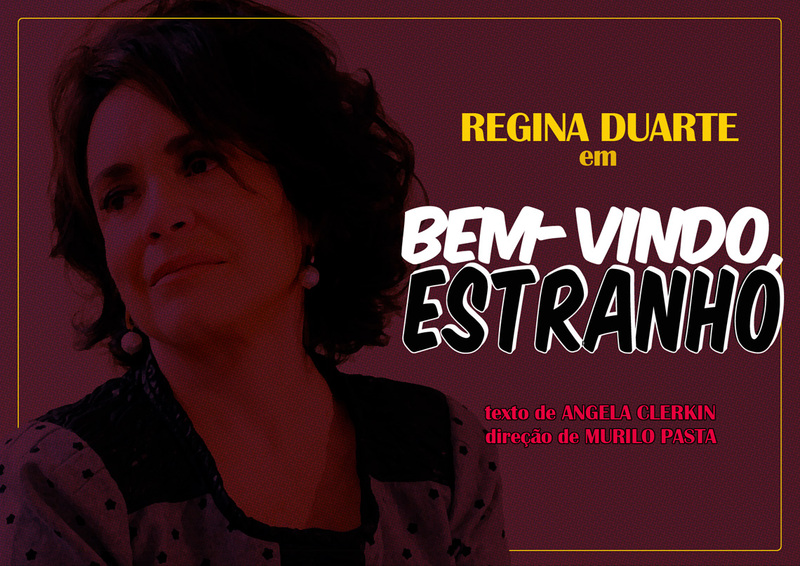 Written by Angela Clerkin, Directed by Murilo Pasta, starring the queen of soaps Regina Duarte, with Maraina Loureiro & Kiko Bertholini. Bem-Vindo, Estranho premiered at Teatro Vivo, São Paulo 18th October 2013 – February 9th 2014. It has since toured several cities 2014-15 including : São Bernardo do Campo ; Teatro Brazil Kirin Campinas ; São Pedro Theatre in Porto Alegre ; São José dos Campos ; Brasília ; Curitiba ; and a return to São Paulo, at Teatro NET. Theatre play currently in development with the support of National Theatre Studio, Ovalhouse and Arts Council England. A father discovers his daughter has a gift for keeping secrets. People come from far and wide to confide in her, and they rejoice at having their burdens lifted. Everyone is happy, except for the secrets themselves, who demand to be told. Theatre play commissioned by Secret Platform about an extravagant friendship between a mannequin and an over-shopper. This magical realism story was partly inspired by verbatim interviews with shopping addicts by Dr Alison Armstrong. Feature screenplay. A sensual and magical RomCom about trusting someone enough to set them free. And shoes. Step into the story, wiggle your toes with delight and fall head over heels. Previously optioned by Spanish film company A Contraluz, now under consideration in UK. Theatre play. Directed by Lee Simpson. A woman hunts a bear until she discovers the bear is hunting her. UK tour and 3 week run at OvalHouse Theatre Spring 2013.
published in Men & Women and East by Limehouse Books. Most recently she has a short story published in Lesfic anthology L is For. Angela has read from these stories at Polari. Feature length screenplay. Previously optioned by Spotty Dog Films (Jan Dunn). Theatre play commissioned by The Drill Hall in Oct-Nov 2003. Directed by Simon Vincenzi. Theatre play. Runner-up for Best New Gay Play in a competition run by The Drill Hall and The Pink Paper. Angela co-wrote several plays with her sister, Maire Clerkin, performed on the London Fringe: The Science Of Irish Dancing (Lilian Bayliss); Remains To Be Seen and An Evening With Eileen And Grainne (Hen & Chickens). They also wrote and performed comedy sketches for Irish radio.